Whether you are installing a new roof on a new house or replacing an older roof that is no longer doing its job, there are many choices in terms of the types of roofing materials available. Some of the different options include asphalt shingles, tile roofing, slate roofing, and more. 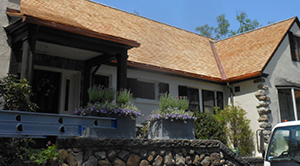 At GF Sprague of Greater Boston, you can trust that you'll have the best roofing in no time! Contact us today for your free estimate. 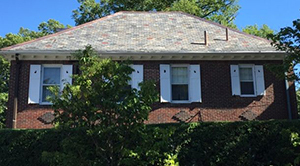 We provide quality roofing services, including roof repair, roof replacement and installation in Newton, Needham, Wellesley, and the surrounding areas of Massachusetts! Although rubber has been around for a long time, rubber roofing is fairly new. That's because it's taken a great deal of chemistry research to develop a thin rubber membrane with the durability and waterproof qualities required of a roofing material. Rubber roofing is sometimes referred to as EPDM roofing. EPDM is an abbreviation for ethylene propylene diene monomer, the highly engineered compound used to manufacture most types of rubber roofing. 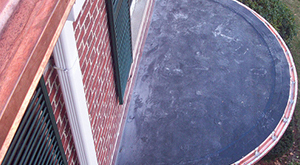 Rubber roofing is used primarily on flat or low-slop roofs. A "membrane roof" usually refers to a rubber or EPDM roof that is installed in a flat roof or a low-slope application. Metal roofing is a huge category that includes factory-formed and finished roofing panels as well as roofing panels that are cut and formed at the building site. Metal roofing has a long history of use on houses, farm structures and more. Its main limitation is that it's not suitable for use on complex or curved roofs. Like corrugated roofing, many metal roofs can be installed directly over a worn-out older roof without tearing off the old roofing material. This roofing category is often grouped with “low-slope” roofing because many of the roofing treatments are the same. The most common flat-roofing materials used today include single-membrane systems like EPDM or rubber roofing, thermo-polyolefin (TPO) roofing and PVC roofing. 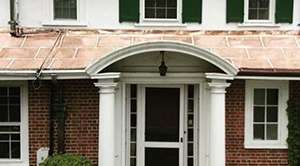 GF Sprague is a full-service roofing contractor, specializing in everything from new roof installations, roof repairs and maintenance to total roof replacements. It doesn't matter what type of roofing system we are working with, we always ensure quality workmanship, excellent customer service and a long-lasting, durable roof over your head. 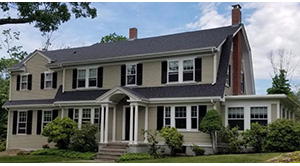 Our roofers work throughout the Greater Boston area, including Wellesley, Needham, Newton, Chestnut Hill, Weston, Boston, Brookline, Quincy, Watertown, Cambridge and many parts of Massachusetts. Call us at 1-781-209-6791 today to schedule an appointment for a roofing estimate.